Tray is the second book in the Hell's Harlem series. Tray is a nomad. He has been with Hell's Harlem but is not a patched member yet. Tray has a chance meeting with Zillah, who is the daughter of another club's president. He knows he shouldn't want her, but he can't stop himself. Zillah is the daughter of Shadow, the president of Mayhem's Revenge. She has been held under lock and key, protected from the world but at twenty-four she is tired of being hidden away. When Zillah walks right into Tray, she has no idea who he is, but she knows how he makes her feel. And for the first time, she wants more, and she wants it with him. Can she go against everything she's ever known for a man she knows nothing about? I absolutely fell in love with Tray. I was lost within his story. I couldn't read fast enough. Tray is such a sweet talker with that badass attitude that just makes you swoon. J.M. Walker rips your heart out AGAIN, but you'll forgive her because Tray is that good! I cannot wait for more with this series! 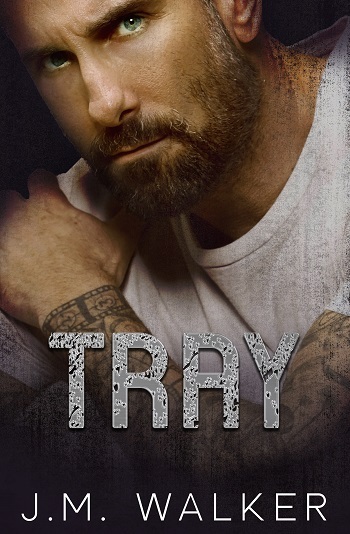 Reviewers on the Wicked Reads Review Team were provided a free copy of Tray (Hell's Harlem #2) by J.M. Walker to read and review.